Should My Business Accept Bitcoin and Cryptocurrency as Payment? Over the last year the value and interest in cryptocurrency like bitcoin has skyrocketed, and with that people have started asking more and more questions about the potential pros and cons of the potential global currency. 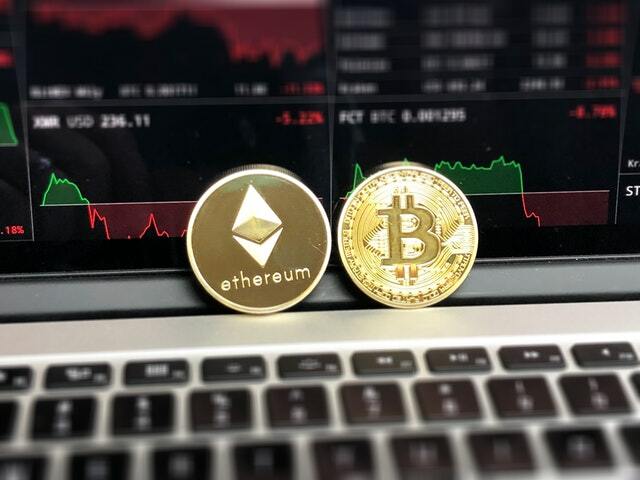 Many of the people wondering about cryptocurrency are those in the world of business as they work to determine if there is ultimately long-term value in the newly blossoming form of finance. What we’ve done today is set out a few of the potential benefits and pitfalls of a business accepting the likes of bitcoin, or other forms of crypto, as payment for their goods and services in place of traditional currency to help you figure out if the new digital currency is worth taking into your business. The first thing to stress is that cryptocurrency like Bitcoin is not against the law to use here in the UK, and their low transaction cost for its use combined with the highly secure nature in which most crypto is designed makes it highly desirable for people to use; especially when you consider the increasing nature of cybercrime. Cryptocurrency is also decentralised, which means its value is not at the mercy of the decisions of any government. Not only that but no other entity dictating the value of your money through this method. Additionally transactions made through the likes of Bitcoin are fast and permanent, which means if you accept it as a form of payment you don’t need to worry about risking the likes of charge-back fees from illegitimate customers; this is a financially harmful practice to fall upon smaller businesses. Now moving onto the drawbacks of trading with cryptocurrency we actually come back to it’s legality, because while it isn’t illegal to use your business may run the risk of developing a negative reputation for accepting cryptocurrency payments. The incredibly private and secure nature of things like Bitcoin have made it a highly desirable form of financial tender for criminal and terrorist groups. As well as this you have to understand that being completely unregulated makes the value of crypto a highly volatile form of currency, with its potential value rising and falling drastically on a regular basis. Not only that but as a digital format there is no way to recover any lost crypto or to protect it’s value once you have possession of it; what you once sold for bitcoin worth £100 could end up only being worth £1 a week later. These are of course only a handful of the positive and negative attributes of dealing with cryptocurrency, and the topic does get increasingly more in depth the more you look into it. Ultimately its best to check if it is right for your particular business; Check your business insurance quotes and if the risks outweigh the potential gains, and if so then to make sure you are still covered for it. Like any kind of new venture in your business you should have as much knowledge on your side as possible before going a head with a decision.